4 piece metal band TRANSMETAL is from Mexico. 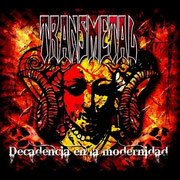 Their 18th studio album DECADENCIA EN LA MODERNIDAD (DECADENCE IN THE MODERNITY) has been released in 2011. They sing all tracks in Spanish along with brutal deep voice and heavy guitar riffs. You can enjoy the powerful and passional Latin Metal in this album. Two decades after playing two thousand concerts and setting foot on different stages in México, the USA, Central and South América, TRANSMETAL continues to demonstrate that their work and conviction are true and their music is far from over. Over the years there have been many changes, but the group continues to move forward with the passion to conquer all obstacles in their way. 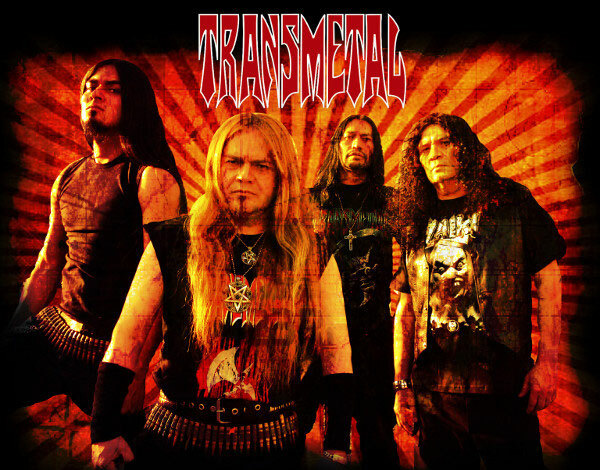 Formed on March 27, 1987 by the Partida brothers Lorenzo, Javier and Juan, TRANSMETAL is the pioneer of the original Mexican Thrash-Death-Metal scene. Even before the metal genre was known in Mexico, TRANSMETAL was playing concerts with such bands as: Slayer, Sodom, Kreator, Death, Malevolent Creation, Sepultura, Demolition Hammer, Obituary, Destruction, Devastation, Sacred Reich, Napalm Death, Dark Angel, Nuclear Assault, Testament, Morbid Angel, Deicide, Cannibal Corpse, Over Kill, Sadus, Monstrousity, Unleashed, and many more... Today, TRANSMETAL has attained legendary status and even been deemed the emperor of Mexican metal. The name TRANSMETAL is and always will be connected with the new wave of metal that dominates the music scene in Mexico.